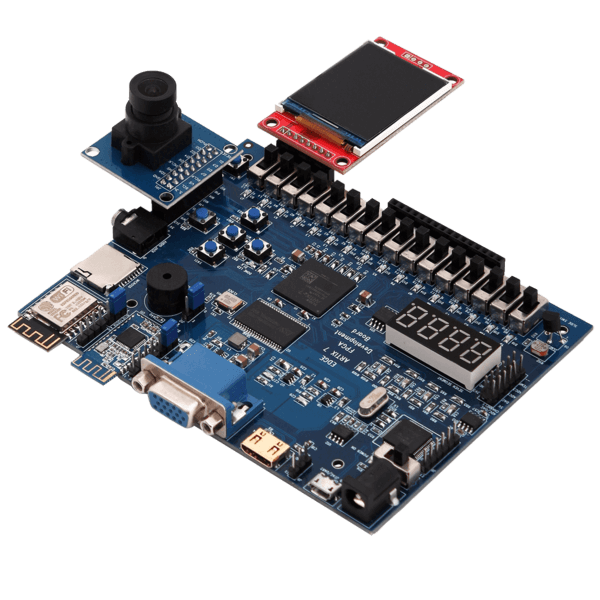 EDGE Spartan 6 FPGA Development board is the feature rich development board with Spartan 6 FPGA, SPI FLASH, ADC, DAC, LCD, 7 segment Display, WiFi, Bluetooth, CMOS Camera and TFT Display. 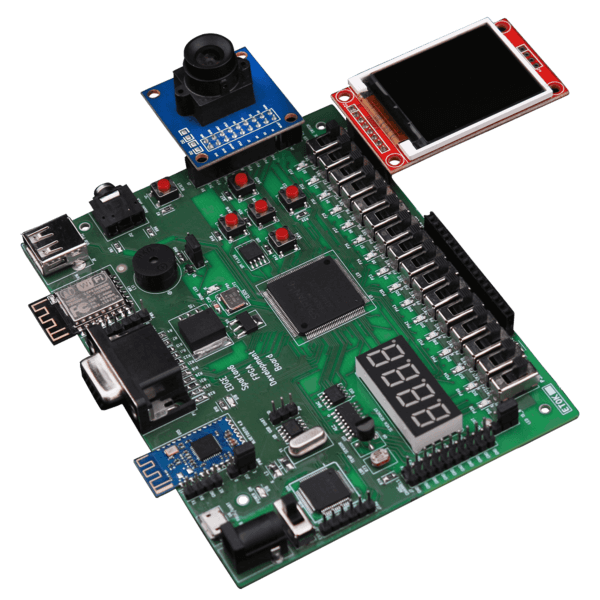 The EDGE Spartan 6 board is fully compatible with Xilinx ISE, EDK, System Generator and ChipscopePro Tools at ease with on-board USB JTAG Interface. Xilinx offers free WebPACK™ versions of ISE tool for working. EDGE Artix 7 FPGA Development board is upgraded version of EDGE Spartan 6 board. It is exclusively designed for the latest vivado Design Suite. 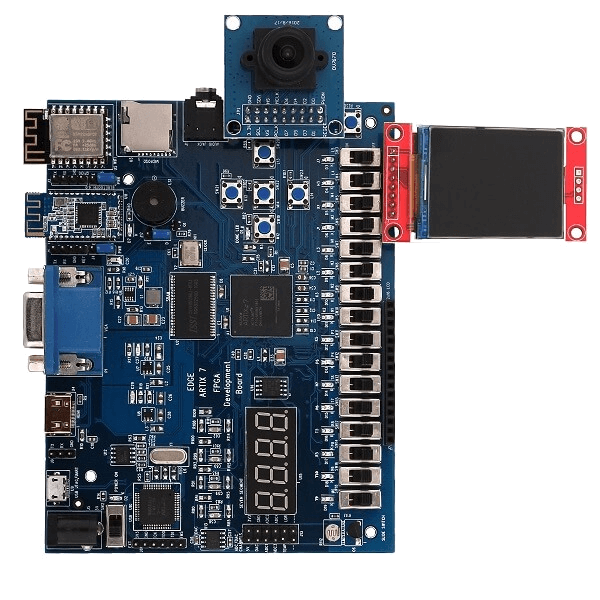 The EDGE Artix 7 board includes most of the interfaces present on EDGE Spartan 6 board plus external memory SRAM, HDMI Out and Micro SD interface. Microblaze softcore processor design can be easily implemented with SRAM using vivado SDK. 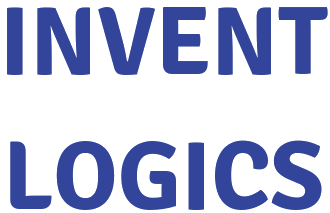 Choosing the right FPGA Kit? EDGE Spartan 6 VS Artix 7 FPGA Kit! Wonderful board and so much things in one board at reasonable price and wonderful support with one day delivery. I would definitely recommend to all my friends who are looking to buy FPGA boards. 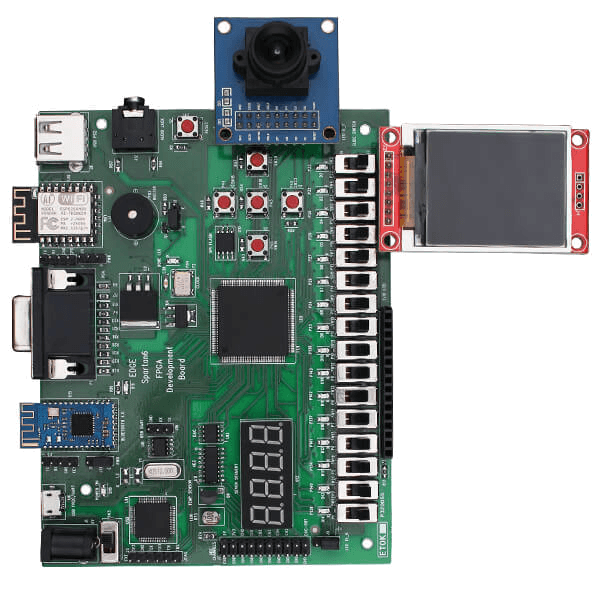 Which software is required for programming the EDGE Boards? EDGE Artix 7 works with Xilinx Vivado 2018 Free Web Edition Software.